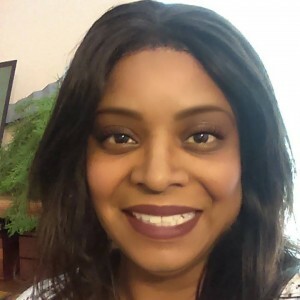 Nakeesha Cluse is an aspiring author of contemporary and interracial romance novels. She is a wife and mother of two beautiful children. She lives in Colorado Springs, Colorado and enjoys spending time with her family and getting outdoors! An avid lover of reading and storytelling, she finds her inspiration in everyday life. She enjoys writing about heroines who find their strength through adversity and heroes who are loyal, with a bit of a bad boy side to them. She hopes you enjoy her books and looks forward to your reviews. Thank you for you purchase! I have always loved to write but I think my inspiration comes from my maternal grandmother and her storytelling. I remember sitting around the table listening to her stories and getting lost. I never got tired of hearing her tales of the old days. I am a bit of both. I like to start off with an outline of where I’d like the story to go. Once I sit down to write, I put on my music (usually my idea of the soundtrack of the book if it were turned into a movie) and let the story take over. I tend to talk to my characters. For example, in Wicked Game, the story takes place in the south so when I wrote the story and read it back to myself, I spoke in a southern accent. I don’t know….it just kept me in the rhythm of the story. Don’t give up, keep writing. You are going to come across people who get your work and love it, and those that don’t. You have to believe in yourself and your talent. Be your own biggest cheerleader! I sought out other authors and took some of their advice. Right now I’m primarily on amazon. It just makes it easier to have one site to look after instead of a multitude. I was pulling my hair out trying to maintain my book on multiple sites. I think the future of publishing is limitless. I think readers are hungry for new work and self-publishing provides that for them. It is tricky learning the ropes but once you get a hang of how to market your book, the opportunities are endless. I mean I have readers in the US, England and Austrailia. One day, I’d like to have my books translated in other languages and then….just imagine the possibilities!